That cloyingly sweet, Almond-flavored dough was too much even for my palate. A little Marzipan goes a long way. That's why Marzipan Fruit, larges pieces of Marzipan painted bright colors to resemble considerably healthier snack alternatives, never won me over. I still wonder who buys those boxes every Christmas when suddenly materialize on every grocery store shelf. But when Marzipan appears as a component in some grander creation, the story is somewhat different (as with an incoming recipe for Glazed Petits Fours). Other ingredients weigh in to balance a sweetness that would otherwise go unchecked. All is well. Balance is restored! Marzipan can be found in almost any grocery store. So why make your own? Well, when I discovered that Marzipan was priced at $25/lb at my local grocery store, making my own seemed like the only fiscally responsible alternative. What's more, it is extremely easy to make. Yes... bold, italics and underlined... just mix a few ingredients by hand and the knead the dough smooth for a couple of minutes. 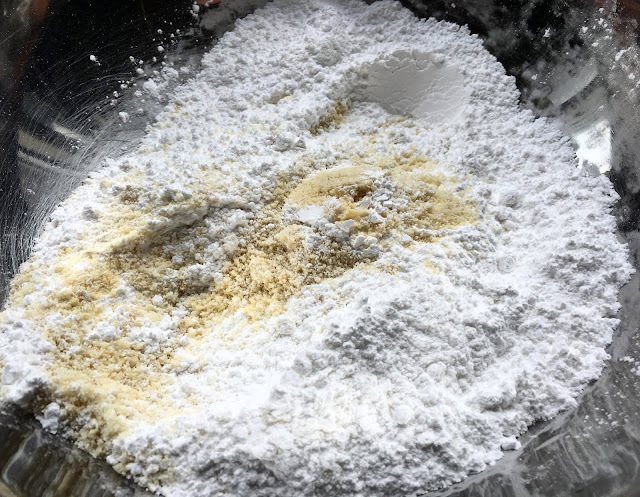 The two primary ingredients in Marzipan are Almond Flour (or Almond Meal) and Powdered Sugar. These dry ingredients are bound together with Corn Syrup and Water to form a dough. The finer the grind on the Almond Flour, the smoother the final product. If you are looking for an extremely smooth Marzipan, sift the Almond Flour before mixing it with the other ingredients. The flavor of Almond Flour can be subtle. To enhance the Marzipan, Almond Extract can be added. Most commercially available Marzipan has an extremely strong Almond flavor. 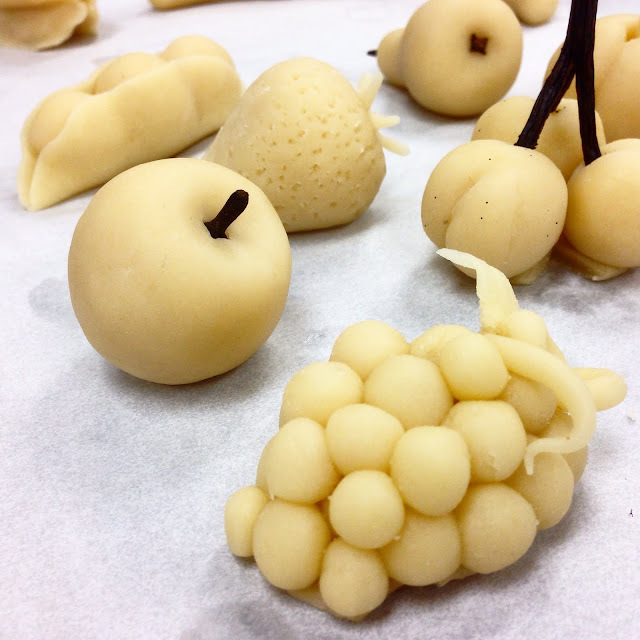 Making your own Marzipan allows you to adjust that flavor to your personal taste. Marzipan is best mixed by hand - that way can easily feel if it requires extra Water. But do not over-hydrate the Marzipan. It will become sticky and difficult to work with. Add more Water just one tablespoon at a time. Once the Marzipan comes together as a dough, knead it smooth for a couple of minutes. Since Marzipan dries out quickly when exposed to the air, immediately double wrap it in plastic wrap. Place the wrapped Marzipan in an airtight container in the refrigerator to rest overnight. Before using freshly made Marzipan, allow it to temper to room temperature while still wrapped in plastic wrap and then knead it smooth. 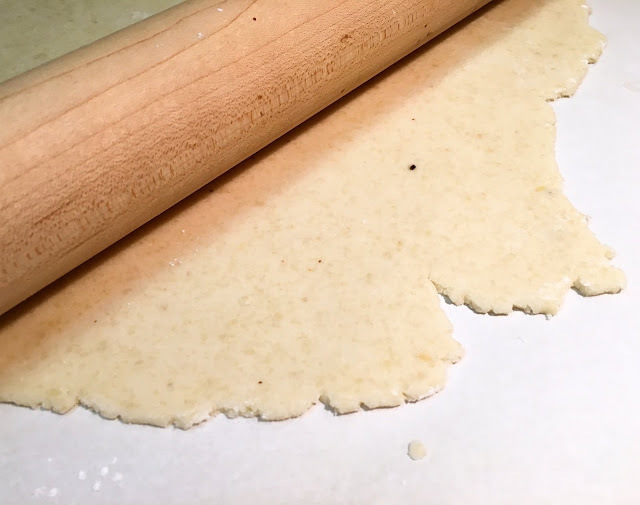 Marzipan can be rolled into a sheet like any dough. To prevent it from sticking, lightly dust your work surface with Corn Starch. Marzipan can also be used to model different shapes, objects or characters. Vegetable Shortening is helpful to keep Marzipan from sticking to hands and tools. Always keep any unused Marzipan well wrapped in plastic wrap or it will dry out. Marzipan will keep for several weeks when double wrapped in plastic wrap and stored in the refrigerator in an airtight container. 1. Sift the Almond Flour and Powdered Sugar together in a large mixing bowl. Add the Light Corn Syrup, Almond Extract and 60g (4 Tbls) of Water. Mix the ingredients by hand. Chef's Note: Almond Extract can be intense. Use less if you would prefer a more subtle flavor. 2. Continue to knead the ingredients until they form a smooth dough. If the Marzipan is dry and crumbly, add more Water in 1 Tbls increments. 3. 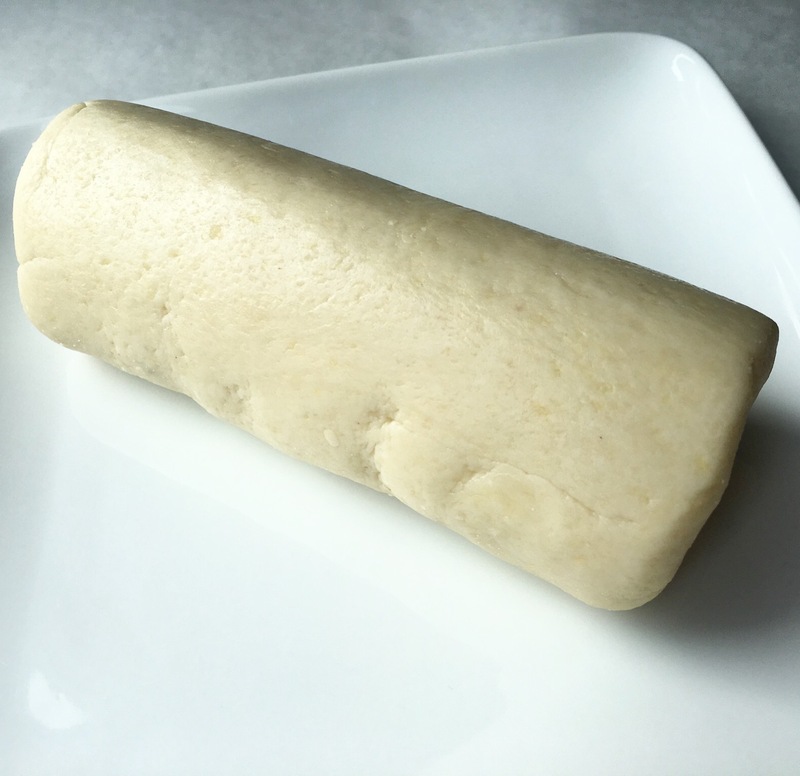 When the Marzipan is no longer dry or crumbly and is kneaded smooth, roll it into a log. Double wrap the log of Marzipan in plastic wrap. Place the wrapped Marzipan in an airtight container in the refrigerator to rest overnight. 4. Before using the Marzipan, allow it to temper to room temperature while still wrapped in plastic wrap. Knead the Marzipan to soften the consistency. If the Marzipan is sticky, it can be worked on a surface lightly dusted with Corn Starch. Vegetable Shortening is also helpful to keep Marzipan from sticking to hands and tools. Chef's Note: Keep unused portions of Marzipan wrapped in plastic wrap. It will dry very quickly when exposed to the air. - Marzipan will keep for several weeks if double wrapped in plastic wrap and stored in an airtight container in the refrigerator. Allow Marzipan to temper to room temperature while still wrapped in plastic wrap before using. Immediately rewrap unused portions of Marzipan to prevent it from drying out.